The X-Men soon underwent a time of great expansion. There was a boom in Earth's mutant population and secondary mutations granting mutants additional abilities and mutations happened. 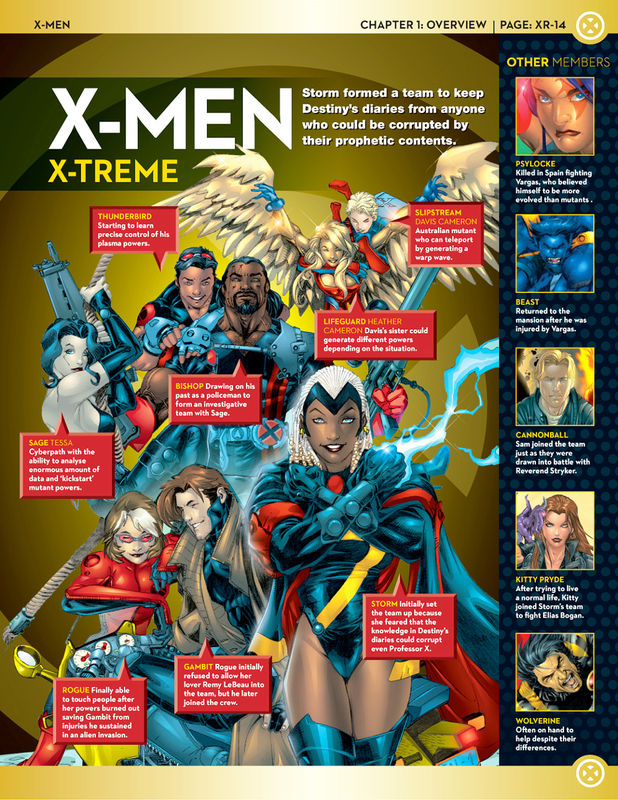 Storm had already formed a splinter team (X-Treme X-Men). 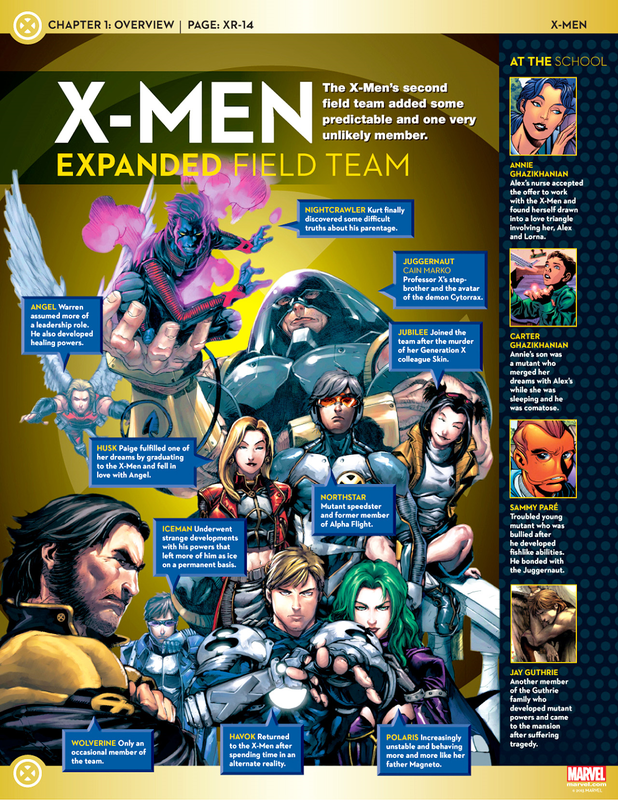 The rest of the X-Men split into teams once again, with the home team featured in New X-Men (formerly X-Men vol. 2) and the away team featured in Uncanny X-Men. Professor Xavier's evil twin sister Cassandra Nova emerged, sending Sentinels to obliterate Genosha's 16 million mutant population. Emma Frost, now able to turn to diamond, survived the attack, and was rescued by the X-Men, after which she joined the team. Cassandra attacked the X-mansion, and forcibly switched bodies with Xavier. In Charles' body, she publicly outed him as a mutant, opened the school to hundreds of mutant students, then left Earth to gain control of Lilandra and the Shi'ar Empire. Meanwhile, the X-Men recruited Xorn (Kuan-Yin Xorn), a Chinese mutant with a star for a brain and fought John Sublime, founder of the U-Men, a group of humans who grafted mutant body parts on themselves. Cassandra convinced Lilandra to order the Imperial Guard to destroy all mutants on Earth before casting the Empire into turmoil. Cyclop's team (home team), now also the Institute's teaching faculty, fought the Guard and freed Lilandra. Cyclops and Emma Frost became attracted to each other, beginning a psychic affair. 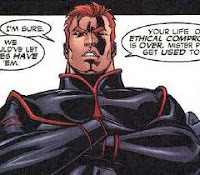 Xavier soon established the X-Corporation out of the remnants of the militaristic X-Corps, a global mutant rights organization. The home team dealt with a riot organized by the rebellious Kid Omega before Jean Grey discovered her husband's psychic affair. Cyclops left the team and joined Wolverine and Weapon Plus's Weapon XIII to infiltrate Weapon Plus's World base, discovering that John Sublime was also the director of Weapon Plus. Meanwhile, Emma Frost was shattered into pieces while in diamond form, prompting an investigation by Bishop and Sage from Storm's team. The culprit was revealed to be Emma's student Esme Cuckoo. Esme had joined Xorn, who came to believe himself to be Magneto. Addicted to the drug Kick, Xorn destroyed the Institute and launched a devastating attack on New York City that killed over 5000 people and caused billions in damage. 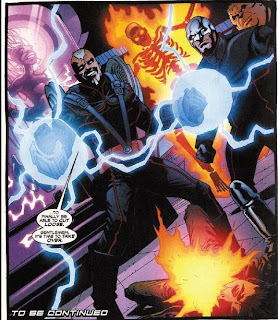 Believing Xorn to be the real Magneto, Cyclops formed a "street-level" team of X-Men (check Ad-hoc X-Men) to oppose him until the various X-Men returned from various exile to fight him. 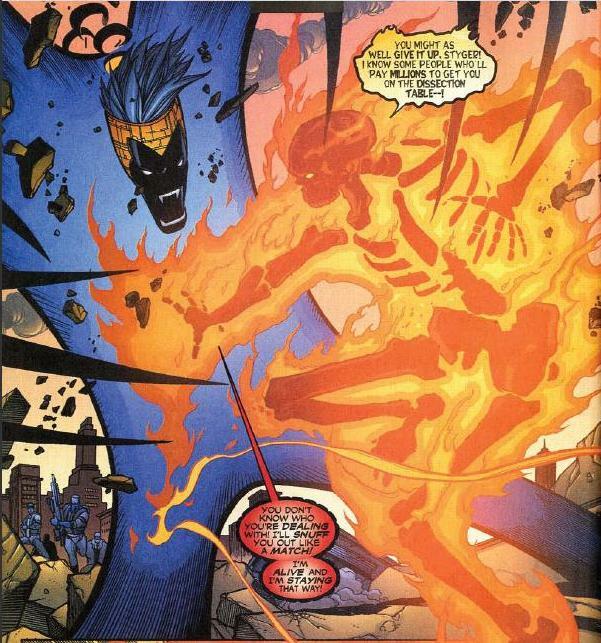 During the final battle, Xorn caused a massive electromagnetic pulse that apparently killed Jean Grey, bonded to the Phoenix Force again after another near-death experience. The act shattered the Phoenix Force into billions of pieces. Wolverine subsequently decapitated Xorn. Xavier left the X-Men to rebuild Genosha along the true Magneto. Cyclops was filled with grief for the death of Jean and was unable to move on, triggering an alternate dystopian future. In this future, Jean was reborn and Sublime was revealed to be a sentient bacterium which took over a human body to oppose mutants. She subsequently used her powers to wipe out Sublime and psychically pushed Cyclops in the present to move on. Cyclops and Emma Frost formed a relationship, becoming co-headmasters of the rebuilt Institute. When the X-Men were split into teams, Nightcrawler took charge of the away team. They faced a mutant massacre in London before bringing in former Generation X member, the psionic energy battery Chamber as a new member. The team next recruited the pheromone-manipulating Stacy X from the X-Ranch before dealing with the international mutant militia X-Corps, created by a well-intending Banshee, who was grieving over the death of love Moira MacTaggert. Banshee recruited his former students in Generation X and brainwashed former villains into the X-Corp. Designed to self-police mutantkind, the Corps fell apart when Mystique infiltrated the group, liberating the villains and taking over, severely wounding Banshee. 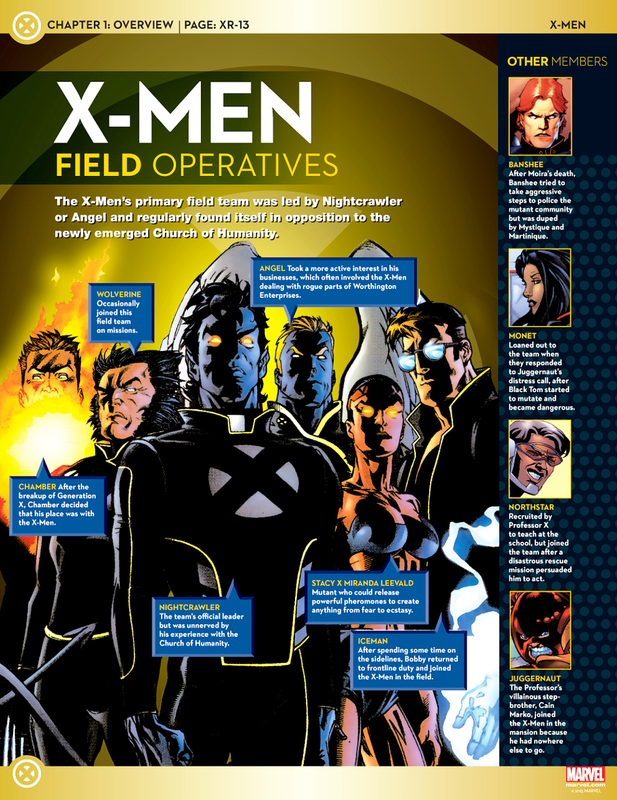 The X-Men defeated her and the remnants of the organization were converted by Xavier into the X-Corporation, a global mutant rights organization. 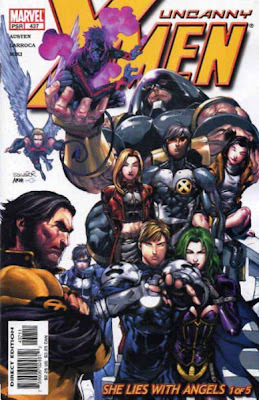 The team soon took in many members, including the epidermis shedding former Generation X member Husj, Northstar, former foe Juggernaut, Havok, Polaris and Jubilee. The team battled the Dominant Species lupin mutants clan and prevented an invasion by the demonic Azazel, revealed to be Nightcrawler's father, and his mutant Neyaphem clan. 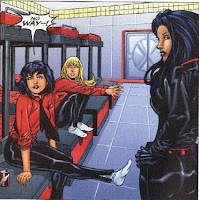 Storm formed a splinter team to hunt down missing copies of the Destiny's Diaries, 13 diaries of the deceased precog Destiny. 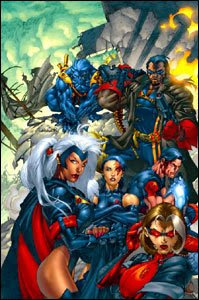 Leaving with Storm were Bishop, Beast, Rogue, Thunderbird, Psylocke and Tessa (who joined as Sage). The team fought Vargas, who was also seeking the Diaries. Psylocke was killed and Beast was severely injured, returning to the Xavier Institute to heal. The team recruited Gambit, along with mutant siblings Lifeguard and Slipstream before preventing an interdimensional invasion by the warlord Khan. The team ended the search for the Destiny's Diaries. Slipstream left the team after witnessing his sister Lifeguard become an alien Shi'ar hybrid. Lifeguard and her romantic interest Thunderbird left the team to search for him. Rogue and Gambit left the team to recuperate from injuries. Cannonball was recruited. The team became approved by the United Nations as Xtreme Sanctions Executive, a global mutant police force. Rogue and Gambit returned in time to help the team deal with the psychic predator Elias Bogan and rescue his captive Rachel Summers. Kitty Pryde and former New Mutants Magma and Sunspot also helped out. 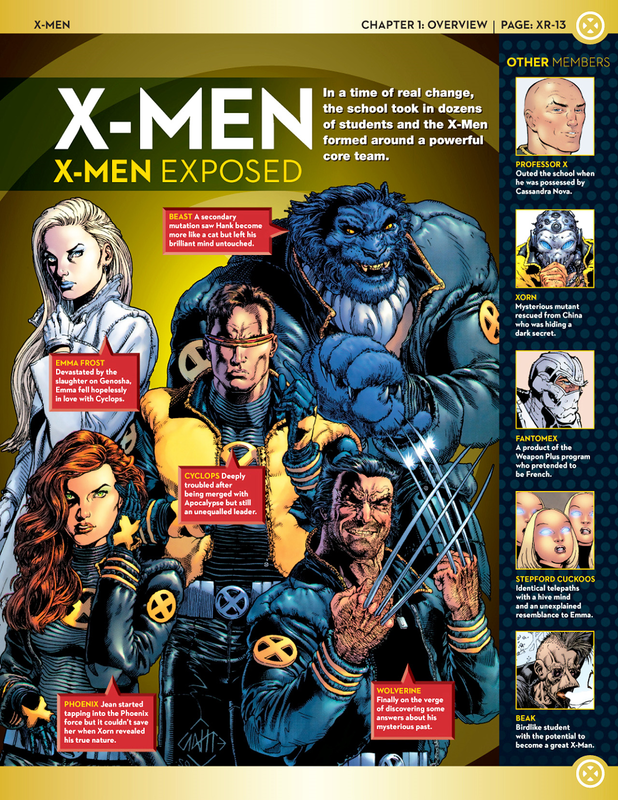 The team returned to the Xavier Institute after its destruction at the hands of Xorn. The X-Corps is a paramilitary unit formed by Banshee to police mutantkind. Banshee was driven to militancy following the death of his beloved, Dr. Moira MacTaggart. Along with Multiple Man and his former students in Generation X, he also recruited supervillains and used the powers of Mastermind to keep them in line. However, it fell apart when Mystique, who had infiltrate X-Corps, freed the villains and went on a rampage in Paris. With X-Corps disbanded, the members went on to various assignments. Professor X took over the operations ans established X-Corporation Paris and other X-Corporation branches soon after. With his self-duplicating powers, Jamie was able to create duplicates to form the staff at X-Corps. After X-Corps was disbanded, he joined the global outreach X-Corporation at its Paris branch. After the X-Corporation offices were shut down, he form the investigation agency X-Factor Investigations. Radius was formerly in Canadian's Alpha Flight. When the villains launched their attack on X-Corps, Radius was trapped in a fissure created by Avalanche. He was believed dead but it was revealed that he survived with his force-field generation powers. He lost his powers on M-Day. Leyu and brother Shiro were born to a mother who suffered radiation poisoning due to exposure to the atomic bombing of Hiroshima, Japan. As a result, Leyu and Shiro were born mutants with identical powers of flight and plasma blasts. When Jean Grey needed to form a team of X-Men to stop Magneto in Genosha, he contacted former X-Man Sunfire. Sunpyre responded the call instead. 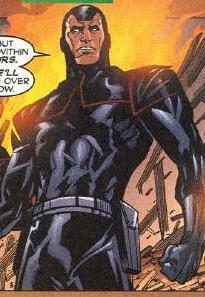 The team succeeded in stopping Magneto, after which Sunpyre left the team. She later joined Banshee's military outfit, X-Corps. She spent most of her time in the laboratory studying the mutant Abyss. When Mystique led a coup on Banshee and the X-Corps, she found Sunpyre, stabbing her to death. Abyss is the half-brother of Nightcrawler, with the demonic Azazel their father. He was involved in a fight with Fever Pitch when X-Corps intervened, capturing both of them. Abyss was kept in a containment tube and studied by Sunpyre. The mind-controlled villains soon broke free and went on a rampage. Abyss witnessed Mystique attacking Banshee and used his powers to create a vortex, sending Mystique inside. It eventually turned out that Mystique was sent to Azazel's dimension. Abyss was soon involved in a plan to bring Azazel and his army back to Earth. The plot was spoiled by the X-Men. Abyss was later depowered during M-Day. Banshee's Angels were formerly his students in Generation X. 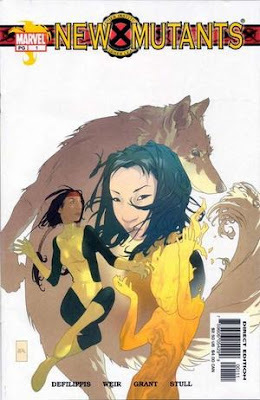 After X-Corps was disbanded, Jubilee and Husk left and eventually re-joined the X-Men at various points of time while M joined X-Corporation Paris. The villains (except Fever Pitch) were formerly members of Mystique's Brotherhood of mutants. Mastermind was captured first and her powers were utilized to bring the other former villains under control. Mystique, disguised as Surge, broke Mastermind free and undid the mind control, leading her former teammates and Fever Pitch on a rampage, destroying parts of Paris and killing several X-Corps members. They were eventually stopped by the X-Men and the rest of X-Corps. Fever Pitch was formerly in the terrorist group Gene Nation. 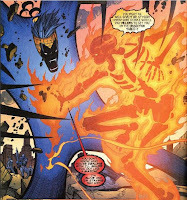 He clashed with fellow mutant Abyss, which was intervened by X-Corps. Both mutants were captured and Fever Pitch was placed under mind-control along with other former villains to keep them in line. He joined Mystique when she broke the former villains free of their mind control, going on a rampage in Paris before being re-captured by X-Corps. After M-Day, he turned up at the Xavier Institute's mutant reservation for safety and left when the reservation was shut down. He was captured by the anti-mutant group Sapiens League and injected with a variant of the Legacy Virus, which sent his powers out of control. He caused an explosion which killed hundreds of humans and himself. The X-Corporation was set up by Professor Charles Xavier to provide support for the mutant population on a global scale. X-Corporation offices were located in several major cities throughout the world. After M-Day and the depowering of 90% of the mutant population, the X-Corporation Paris office was bombed. As a result, Cyclops requested Sunspot to help in evacuating all X-Corporation offices. Before Grant Morrison took over as writer of New X-Men, the various secondary titles were mostly cancelled. A new series New Mutants (vol. 2) was published with stories about the Xavier Institute student body. 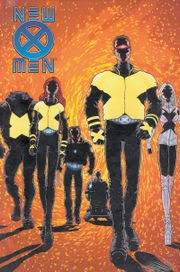 The former New Mutants returned to the Institute as staff members. For more, check out the New Mutants vol. 2 section of Institute Student Body.